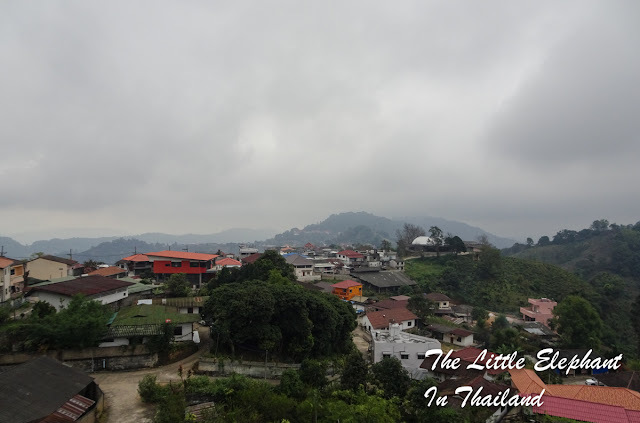 The officially Thai name is actually "Santikhiri" but most time it is referred to as "Doi Mae Salong" while the real Chinese name is actually "Mae Salong Nok". The term Doi actually refers to the all mountain area. The village is located high in the Dean Lao mountain range in Chiang Rai province at about 1100m above sea-level. And it became famous for the inhabitants as being ex-KMT soldiers. And of course it was also famous for the poppy fields as part of the opium trade in the Golden Triangle. Nowadays it has become an tourist destination with the help of the Royal Project to turn the poppy fields into tea & fruit plantations. And it is a wonderful area to travel and see the cultural heritage of the former KMT people. Thai tourisme mainly goes there in the "winter" to enjoy the cool climate and the sea of fog between the mountains (Talay Mok). Highly recommended to go there!